The Amerock H55451S Large Coat and Hat Hook is finished in Silver. Single hooks are most versatile and can be mounted into wood surfaces and drywall. Silver finish is a cool grey metallic look, often shiny and polished. The Amerock H55445S Medium Coat and Hat Hook is finished in Silver. Single hooks are most versatile and can be mounted into wood surfaces and drywall. Silver finish is a cool grey metallic look, often shiny and polished. The Amerock H55465S Pilltop Coat and Hat Individual Hook is finished in Silver. Single hooks are most versatile and can be mounted into wood surfaces and drywall. Silver finish is a cool grey metallic look, often shiny and polished. 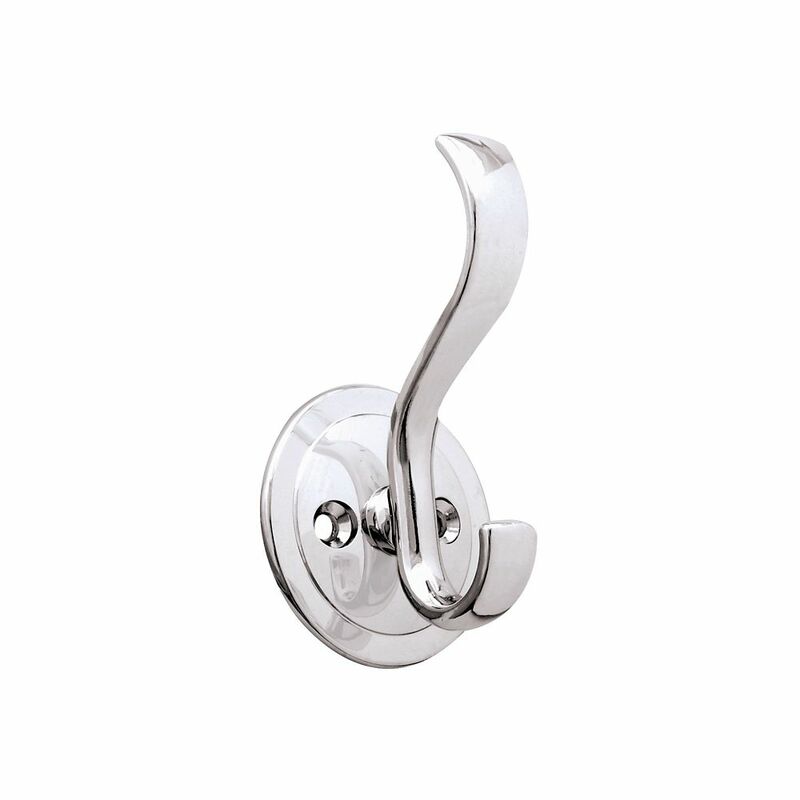 Coat & Hat Hook w/Round Base Chrome Plated Organization with style has never been so easy. This metal hook is designed to hold a wide variety of items coats, hats, handbags, umbrellas, towels or robes. This classic design is perfectly suited for any room from the entryway to the bathroom.